When Kim and Fred found out they were unable to have children, they decided to adopt through the Alliance’s Foster Care Adoption Program. Fred had grown up in foster care but was never adopted. He’d always wanted to give a child the love and security he never received. After initiating the process, Kim and Fred received a call from their social worker about a 4-month old baby boy. The baby had been born prematurely, with low birth weight and prenatally exposed to drugs. He had been placed with an aunt who had abused him and was in the hospital recovering from bruising and broken arms and ribs. They went to the hospital and before they could even see him, they were bombarded with warnings. They were told that he could be blind, brain damaged or delayed. Because he was so young, the doctors couldn’t predict how he would recover. When Kim and Fred first met him, they saw through the bruises to a beautiful baby boy. Despite his lack of eye contact and withdrawn demeanor, he immediately responded to their affection. “It was like he surrendered in my arms the first time I held him,” remembers Fred. They named him JP and took him home as soon as he was ready. Within weeks, JP was making a miraculous recovery – laughing, smiling and bonding with his new parents. After a couple of years of love, stability and extremely devoted parents, JP is now a happy, healthy 6 year old. He is on track developmentally, social, active and friendly – you would never know he came from such a hard start. Mayra decided to become a foster parent after raising her three children. Her inspiration came from her own life experience. The nurse who delivered Mayra later adopted her and Mayra believed that she could return this kindness to other children in need of homes. First Hector came to live with Mayra for two weeks while his own foster mother was on vacation. Mayra immediately connected with Hector’s fun and affectionate personality, even though he is non-verbal and diagnosed with autism and retardation. After his brief stay, Mayra and her family bid Hector a teary farewell, but she never forgot him. As luck would have it, two years after Hector left, the social worker called Mayra and informed her that Hector needed a new home. Mayra was thrilled; she had been quietly waiting for Hector to “come home and be adopted.” Mayra had already adopted Celia, and was starting the process with Noah. The Alliance’s Foster Care Adoption Program completed the adoptions for both boys. Our Education Program also helped Mayra obtain the special education intensive services, speech therapy and aides, to help them progress. Mayra is now mom to all three children, giving a happy home and future to those who needed it most. Caleb was removed from his birth mother and placed in foster care when he was 5 years old. He bounced between his great aunt, his birth mom and a foster family until 2009 when his great aunt obtained custody. She made the decision to adopt Caleb, but another year passed due to unnecessary bureaucratic delays. Then Caleb’s adoption worker went on maternity leave and his file was lost, causing further delays. With only one month before Caleb turned 18, the Alliance’s Foster Care Adoption Program received the case and fast tracked it in order to complete the adoption just two days before his birthday. The Alliance also made sure that Caleb’s adoption assistance benefits would continue until his 21st birthday. 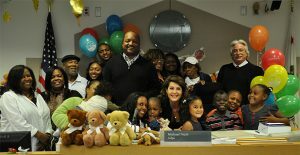 Caleb is eligible for an extension of benefits under the California Fostering Connections to Success Act, a recently enacted law extending foster care benefits which applies to foster youth adopted at age 16 or older. Now, the Alliance is assisting in the adoption of Caleb’s little sister. With the Alliance legal team on the case, Caleb will have an intact family without further delays. Nineteen-year-old Angela found herself in an almost unimaginable situation: her single mother was dying of cancer and her final request was that Angela keep the family together. Angela has five younger siblings. Despite serious hardship, she was determined to fulfill her mother’s last wishes. When the Alliance received Angela’s call, we immediately connected her to community resources and started the important process of securing legal guardianship of her bothers and sister. Within six weeks, Angela had guardianship of Jesus (14), Santiago (13), Fernando (8), Lucio (7) and Alejandra (5). The Alliance continued working with Angela, helping her with housing, counseling, mentoring and benefits. One of Angela’s biggest challenges was Fernando, who has Down Syndrome. Initially Fernando was not receiving adequate services in his school, like speech therapy. After an Alliance Education Program attorney took on his case, Fernando was put into a smaller class where he receives one-on-one therapy from a speech pathologist. He has since then learned sign language and after years of frustration, he can communicate his needs, which has made a tremendous difference in his family’s life. Angela and her siblings have a long, arduous road ahead, but thanks to their commitment to each other and continued support from the Alliance and their community, they will be able to face their challenges as a family. “I’ve learned that nothing is impossible, only difficult,” said Angela, a remarkable young woman who gives true meaning to our work. Adam and Andrea were born in Mexico to a mother who suffered from chronic drug abuse. Homeless and strung out, she quickly abandoned her children. The children’s grandmother, Luz, brought them to Los Angeles in search of a better life. Soon after, Luz was diagnosed with terminal cancer. She had no one to care for Adam and Andrea here in LA, and no safe home for them back in Mexico. When Diana contacted the Alliance, she needed assistance to obtain legal guardianship. Pro bono attorney Bill Ecenbarger prepared the case and the Alliance represented the caregivers at the guardianship hearing. Alliance staff helped connect the family to needed resources like grief counseling and parent/caregiver support groups. Luz passed away soon after Diana agreed to take in Adam and Andrea. Diana’s amazing act of love and generosity gave them the stability they needed during a tumultuous time, providing a family when they needed one most. After being removed from her parents and suffering abuse at the hands of relatives, Stephanie bounced around in the system. She finally ended up in a residential placement designed to help kids with severe mental health issues. There, Joan became her ‘special friend’ and their bond was so strong that Joan and her husband eventually took Stephanie into their home. Stephanie has a variety of mental health diagnoses ranging from bipolar to depression, ADHD to mood disorder. Joan has always been a great advocate for Stephanie but after trying for years, she was unable to access the appropriate services. Stephanie’s needs eventually became so great that she had to return to the group home. But Joan didn’t walk away. She remained in Stephanie’s life, working with her therapist and desperately fighting the school district to get her an Individualized Education Program (IEP). Despite four written requests for an IEP assessment, the school did nothing until after her hospitalization. Joan finally called the Alliance for help. Our Education Program gained access to Stephanie’s records and forced the school district to fund an independent education evaluation. The assessment showed, as expected, that Stephanie desperately needed special education services. But even after this report was presented to Stephanie’s school team, they continued to refuse to provide her with appropriate services. We turned to our trusted pro bono partner, Latham & Watkins. Three associates spent close to 400 hours reviewing Stephanie’s mental health and education records, discussing trial strategy, drafting witness questions and preparing expert witnesses to bring a lawsuit against the school district. Their tremendous efforts paid off. Stephanie received a high level of educational support services for at least 6 months to 1 year in a therapeutic, mental health focused education setting with counseling. This is yet another great example of how the Alliance and our clients benefit greatly from the time and expertise of our pro bono partners. Roberto entered foster care at an early age and had suffered from a childhood of hardship and neglect. He bounced around the system for most of his young life, causing him to miss a lot of school. His multiple moves throughout high school had a profound impact on his academic growth and put his graduation gravely at risk. When the Alliance’s Education Program began working with Roberto, we quickly enrolled him in an appropriate educational setting which met his needs. The Alliance also gathered together his transcripts from all the various schools he had attended. Finally, we helped him use a special law for foster youth, Assembly Bill 167 (AB 167), which allowed him to combine partial credits and to graduate on time with his peers. 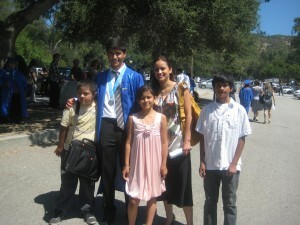 Roberto was the first person in his family to graduate from high school. He received a Class Leadership Award for Outstanding Academics and Civic Accomplishment and is currently attending Rio Hondo College studying auto mechanics. Without the Alliance’s Education Program, there is no telling how or when Roberto would have graduated from high school. Charlie is an 11-year-old boy who suffers from Fetal Alcohol Syndrome (FAS), which is associated with ADHD, learning disabilities and behavioral, emotional and social deficits. Charlie suffers from all of these disorders. The Alliance first became aware of Charlies’ special needs when we assisted his parents in finalizing the adoption of his twin brother, Jamal. During that process, we discovered that the family was unable to take on the emotional and financial responsibility of adopting Charlie, due to his severe and often disruptive behavioral issues. We learned that Charlie was attending a school that was not meeting his needs, and due to the school’s failure to provide Charlie with appropriate positive behavioral modification services, he often had outbursts at school. The Alliance worked with Charlies’ school district to find a more appropriate non-public school, which placed special emphasis on positive behavioral management. Charlie is thriving in this new environment and the positive changes are evident in his academic growth and improved behavior at home. As a result of these changes, Charlies’ foster parents decided to adopt him. The Alliance completed Charlies’ adoption in an emotional ceremony where Charlie was beaming with pride. Charlies’ story shows how powerful the right school setting and services can be for a child in foster care. Charissa is a bright and strong-willed young woman who always dreamed of becoming a nurse. Unfortunately, her dreams quickly disappeared after she was sent to a group home. Her history of failed foster placements had taken a toll on her educational experiences and behavior. She resisted authority, struggled in school and was on the road to prison. Alliance Education Program Director Jill Rowland took her case just in the nick of time. Although Charissa had an Individualized Education Program (IEP) that should have ensured that she receive therapies and services, her school district claimed they did not have a copy of the plan. The school district was about to expel her for behavioral issues. The Alliance was able to stop the expulsion and forced the school district to provide her with the services she was entitled to through her IEP. The Alliance also attended her court hearings, explained her disability to the judge, got her released from custody and helped her successfully fulfill the terms of her probation. Charissa graduated from high school on June 18, 2010, with Jill by her side. Warren entered foster care at three years old, when his mother could no longer properly care for him. A year later, the Department of Children and Family Services (DCFS) found that Warren had a paternal aunt, Mary, willing to care for him. When he arrived in her home, there were no official placement papers or any medical history. The DCFS social worker simply told Mary that Warren had a diagnosis of Autism, and that he received Early Start services once a week. Mary is a Certified Nursing Assistant who described her nephew as “being skin and bones with a big belly and looking very sickly.” She immediately took him to see a doctor, who admitted him to Miller Children’s Hospital for dehydration and malnutrition. Although his health improved while he was in the hospital, Warren showed signs of developmental delay and he wasn’t speaking. Miller Children’s Hospital referred Mary to the Alliance for Children’s Rights. The Alliance Pediatric Public Health Nurse Sherry Rendel secured Warren’s Early Start Center records, including his birth history and some of his medical history. Warren’s full diagnosis was Pervasive Developmental Disorder/ Autism. While he had an Individualized Education Program (IEP) in place at his pre-school, he was not receiving any speech and language therapy. Sherry also learned that Warren had experienced two separate episodes where he had seizures, passed out, and was taken to the hospital. Once there, however, he was never given further testing or specialty referrals. Instead, he was given aspirin and sent home. Sherry arranged for a comprehensive medical and mental health assessment at Children’s Hospital Los Angeles. As the result of the assessment, they also diagnosed Warren with Anxiety Disorder and Syncope (a sudden, usually temporary, loss of consciousness generally caused by insufficient oxygen in the brain). After receiving this diagnosis, Alliance staff advocated further with the county to qualify Warren for a higher specialized care rate of funding so Mary could secure ongoing therapy and services for Warren. Meanwhile, the Alliance’s education attorney met with the school and successfully advocated for speech, language and occupational therapy services. In just the past year, through intensive therapy and the love and support of his aunt, Warren has made tremendous progress and his future finally looks bright. 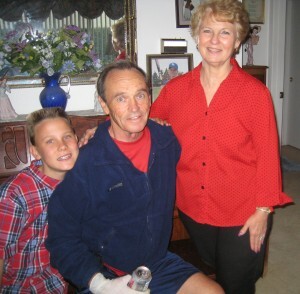 After his mother was sentenced to prison, Joshua was placed with his grandparents, Shianne and Bruce. They discovered that Joshua had muscular dystrophy, a degenerative and terminal disease he was born with but had never been diagnosed. Shianne and Bruce were committed to doing everything to make Joshua’s life as happy and healthy as possible, but they kept running into road blocks. Because of his delicate condition, he needed leg braces at night, extra help at school, a special diet and medical attention. “We were totally clueless— I felt like we were in a nightmare with the system,” said Shianne. The Alliance fought to get Josh a higher funding rate and the special health services he needed, including specialized equipment and medical specialists.